Gareth Bale will miss Wales' Nations League clash against the Republic of Ireland after the Real Madrid star returned to Spain to continue his recovery from a groin injury. 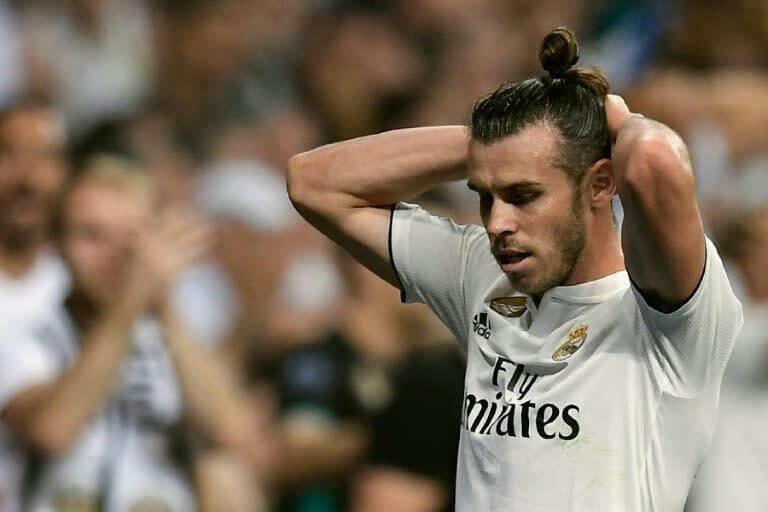 Bale was sidelined for Wales' 4-1 friendly defeat against Spain in Cardiff on Thursday after aggravating the groin injury while playing for Real against Alaves a week ago. The 29-year-old had hoped to recover for his country's trip to Dublin on Tuesday, but Wales manager Ryan Giggs had already admitted he didn't expect the forward to be back in time. Bale scored four goals in his first nine appearances for Real this season, but he has been bothered by the injury for several weeks. It is a frustrating spell for the former Tottenham star after his goals helped Real win the Champions League final against Liverpool last season. Against Spain, Giggs' side struggled badly without Bale, crashing to their heaviest defeat since a 6-1 thrashing against Serbia in 2012. Bale was presented with a golden boot prior to kick-off against Spain in honour of his record tally of 30 goals for Wales. Ipswich winger Gwion Edwards was drafted into the senior squad for the first time on Friday as cover for Bale. Wales have three points from their two Nations League games so far, beating the Republic 4-1 and losing 2-0 to Denmark.